The pictures for listing are a sample as this is a made to order item. 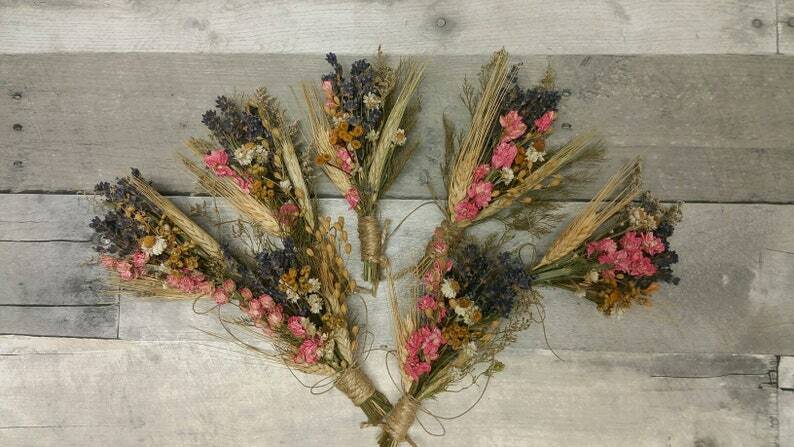 A mixture of lavender, grains, larkspur, botanicals and herbs. You will receive one (1) mini bouquet ornament which Measures approximately 5 inches tall and 3 in wide. Stems wrapped in jute. Your choice of with or without jute hanger. It will include a Boutonniere pin if you are using it for that purpose.